Ideally located within a few miles from the Loveland Ski area, the Georgetown Mountain Inn offers a cozy alpine atmosphere with spectacular mountain views. Situated within walking distance of Georgetown’s historic downtown area and its eclectic mix of shops, restaurants, bars, and nightclubs, the Inn features 33 comfortably furnished guest rooms with private bathrooms and modern amenities. Rooms enjoy large beds, plush décor, kitchenettes with microwaves and fridges, cable TV and free wireless Internet, and guests have access to a year-round indoor heated swimming pool and an outdoor hot tub. Enjoy complimentary morning coffee and muffins in front a crackling fire in the inviting lobby before heading out to enjoy some of the many outdoor activities in the area. The Georgetown Mountain Inn features a variety of comfortable accommodations ranging from Standard Rooms, Antique Rooms, and Log Rooms, to Colorado Style Rooms and Guest Suites. All guest rooms and suites have king or queen-size pillow-top beds dressed in high-quality linens, down or hypoallergenic comforters, and pillows, and en-suite bathrooms with shower/bath combinations, single or double vanities, lighted make-up mirrors, plush towels and bathrobes, and organic bath products. Modern amenities include flat-screen televisions with cable channels, mini-fridges, microwaves, telephones, alarm clock/radios, hairdryers, and complimentary wireless Internet. Standard and Log Rooms are decorated with country-style décor and wooden furnishings and feature two double beds, or two doubles, one single, or one king-size bed, while Antique Rooms feature one queen-size pillow-top bed dressed in high-quality linens, down or hypoallergenic comforters and plush pillows. Colorado-style Rooms are spacious, comfy and rustic retreats that feature original beetle-kill pine walls, comfortable log furniture, and one king, two queens, or two double and one single bed. En-suite bathrooms have shower/bath combinations, single or dual vanities, lighted make-up mirrors, plush towels and bathrobes, and organic bath products and modern amenities include flat-screen televisions with cable channels, mini-fridges, microwaves, telephones, alarm clock/radios, hairdryers, and complimentary wireless Internet. The luxurious three-room Guest Suite offers all the creature comforts of home with a queen-size pillow-top bed dressed in high-quality linens, down or hypoallergenic comforters, and pillows, and en-suite bathroom with shower/bath combination, oversized vanity, lighted make-up mirror, plush towels and bathrobes, and organic bath products. The suite has a fully equipped kitchen and airy living area with comfortable seating, two flat-screen televisions with cable channels and a VCR player, and complimentary wireless Internet. Complimentary coffee and muffins are served in front of the fire every morning. Upscale facilities at theGeorgetown Mountain Inn include an indoor heated swimming pool, an outdoor hot tub and a complimentary coffee and muffins served in front of the fire every morning. Situated within a few miles from the Loveland Ski area, the Georgetown Mountain Inn is within proximity to an array of attractions and activities for guests to enjoy. 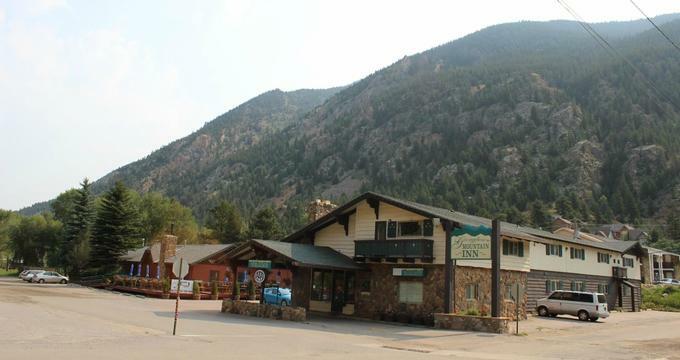 Nearby attractions include the Loveland Ski Area, the Echo Mountain Ski Resort and Park, the Georgetown Loop Railroad, Our Gang Ice Racing, and Mile Hi Rafting. Local parks include Werlin Park, City Park, and Foster's Place. Enjoy Washington D.C.’s rich history and heritage on a tour with DC Insider Tours, a luxury tour company that offers visitors the opportunity to explore and uncover the city. A choice of different types of tours are available to suit every need, from private chauffeured tours to walking and specialty tours, each led by professional and knowledgeable guides who share the history and interesting information about the city. Visit areas of the city such as Dupont Circle and Georgetown, experience the city’s famous monuments by night, explore the many museums the city has to offer, or enjoy a specialty tour such as ‘Ghosts, Scandals and Murder’, or ‘Hail to the Cocktail’. Tour groups are kept to a minimum to ensure a personal experience and can be enjoyed by all ages. Located on historic M Street in Georgetown, Old Glory is the place to go for authentic and delicious barbecue. Capturing the essence of America in the mouthwatering smoked meats and poultry that are served hot off the grill, Old Glory features an open kitchen with huge open barbecue pit, a classic 1901 Silver Dollar Four Winds hand-crafted bar that boasts a lively atmosphere and a family-friendly home-away-from-home ambiance. The menu offers a range of slow-cooked meats served with regional house made Bar-B-Que sauces, freshly made sides and salads and an ample beverage list. Old Glory also offers a special kid’s menu, with hamburgers, BBQ ribs and classic macaroni and cheese.